Getting to know God means getting to know ourselves. The more we know who God is the more we know who we are. The Gospel of John records several declarations of Jesus known as the "I Am" sayings. This 7-week study is designed for the entire congregation to explore each of those sayings and will help you find and form an answer to the most essential question in the Christian faith, "Who do you say I am?" One by one, Jesus' statements grab our imagination, reveal more about his identity and purpose, and connect us to the God of Moses, who spoke the first "I Am." These significant yet ordinary images (bread, light, shepherd, vine, and more) give us insightful ways to experience Jesus and point us to a God who wants to be known. What is included in the study? 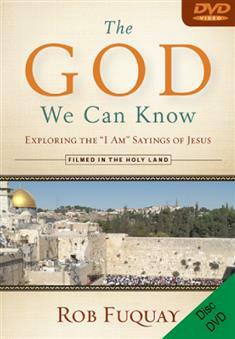 For more information and samples, visit TheGodWeCanKnow.UpperRoomBooks.com.